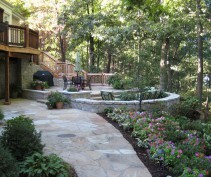 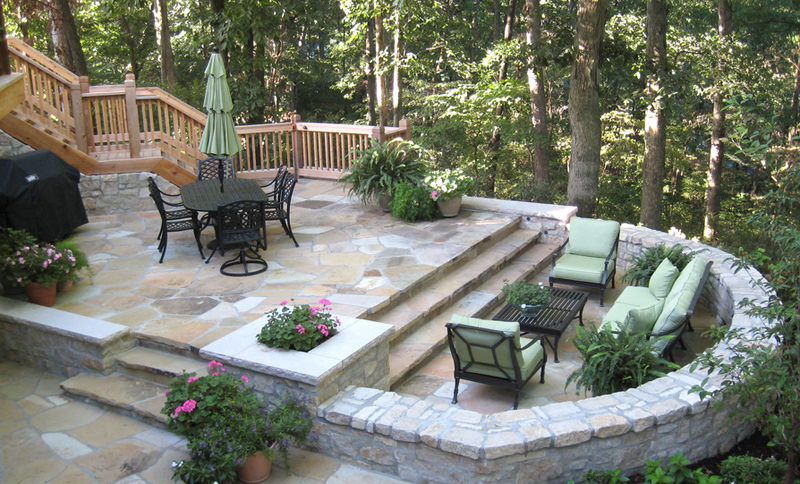 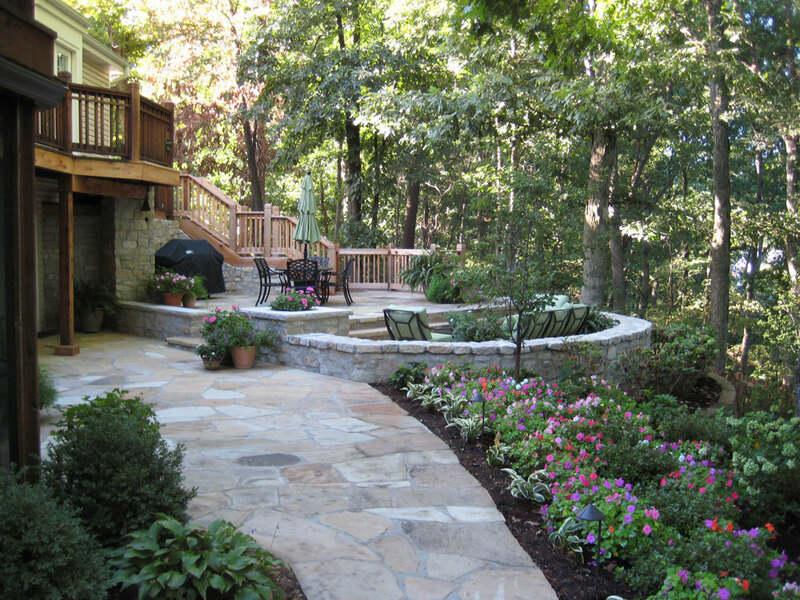 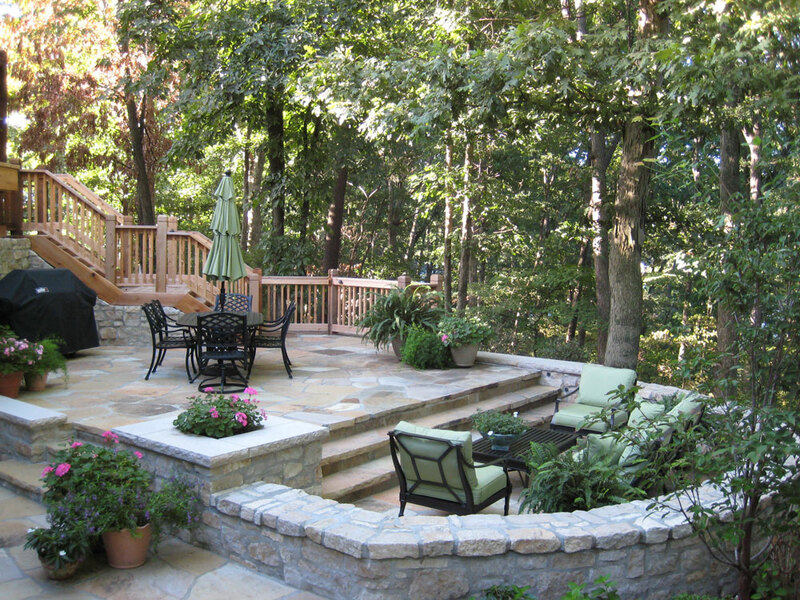 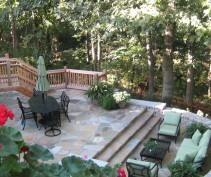 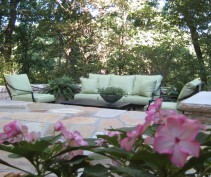 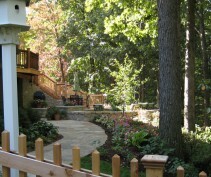 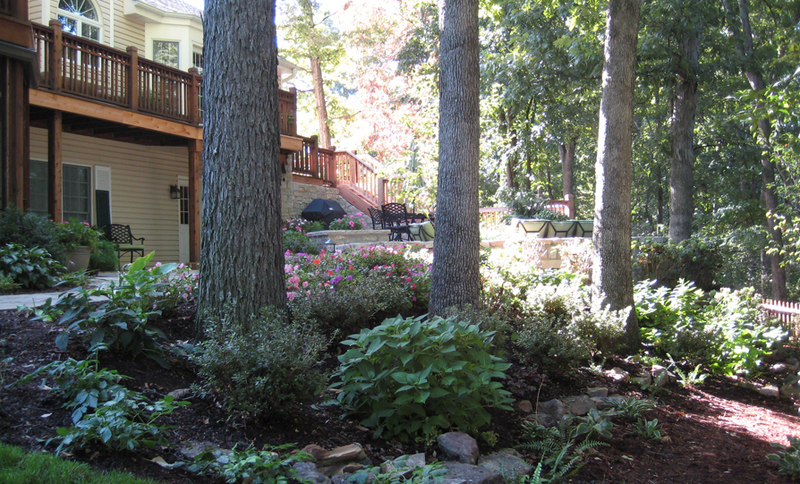 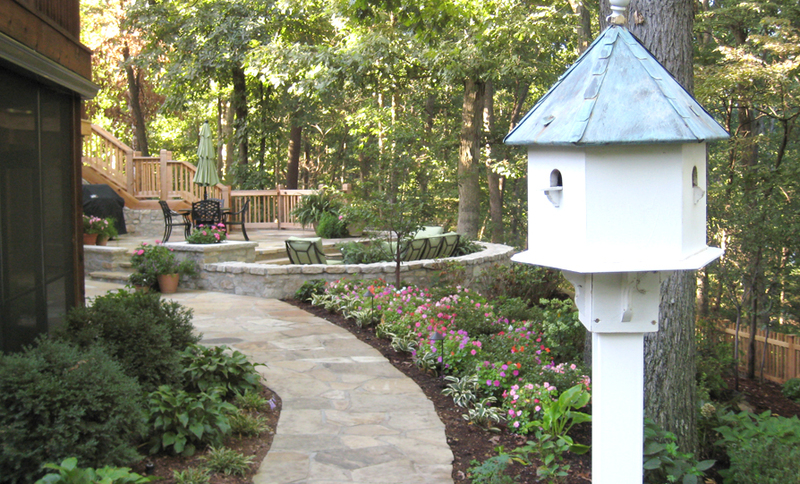 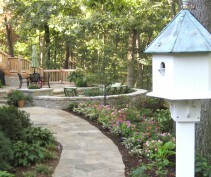 Landscape St. Louis was asked to update a woodland deck and patio space that we had installed 20 years earlier. 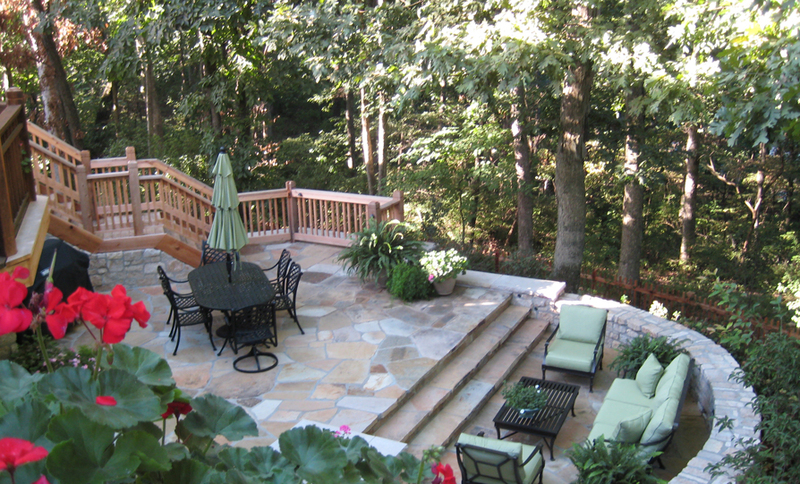 Our multi-level deck and patio design served the clients well for many years, but they felt the need for an updated look. 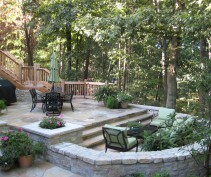 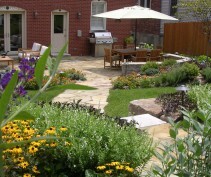 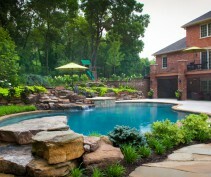 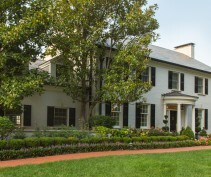 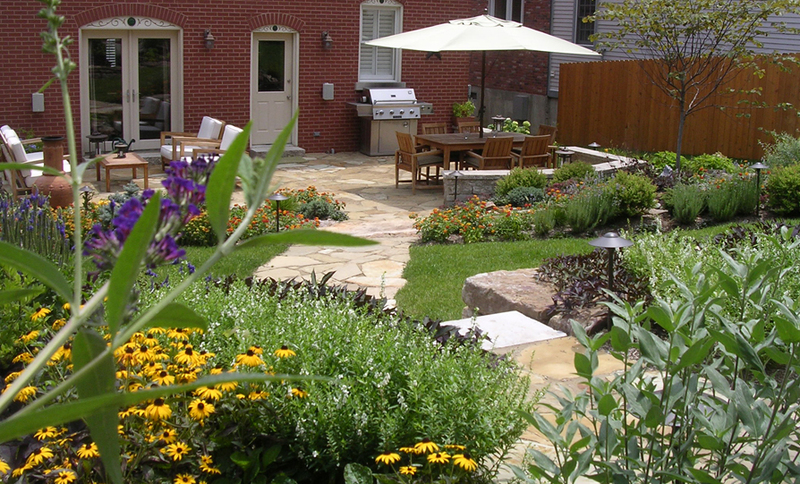 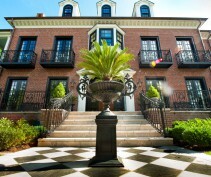 Wood and brick was replaced by stone seat walls and flagstone patios. 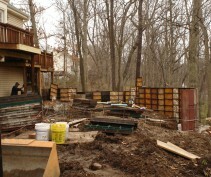 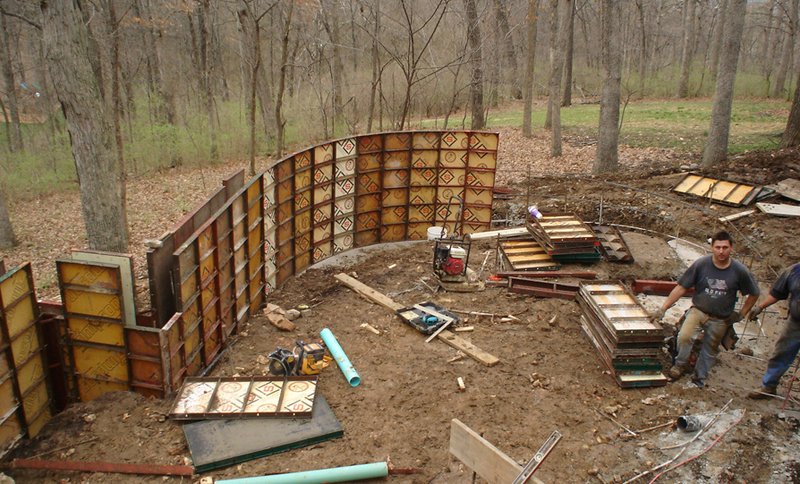 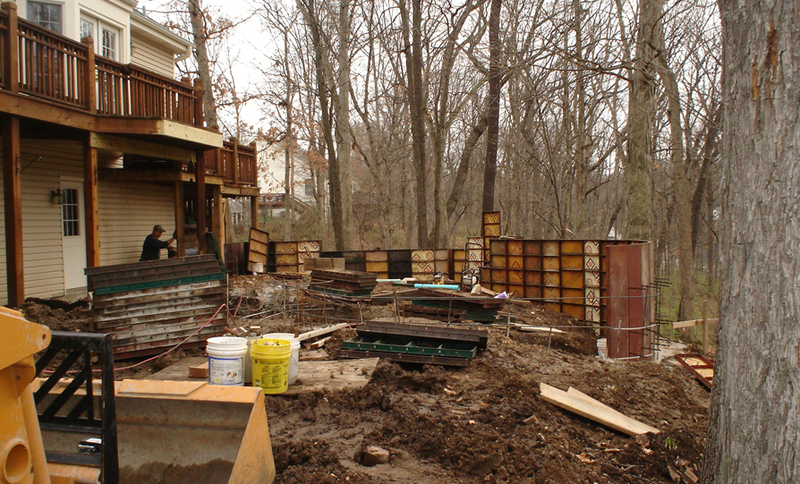 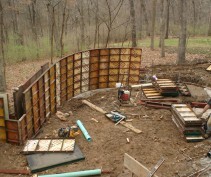 The site proposed many challenges, not the least of which were the existing trees and hillside. 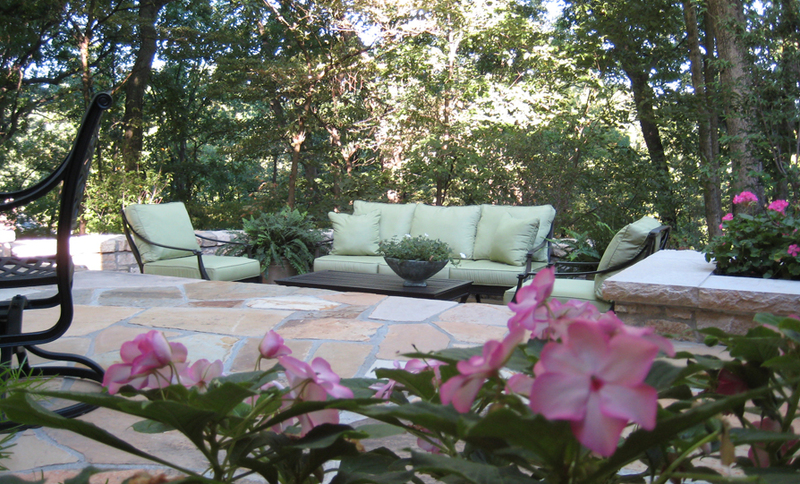 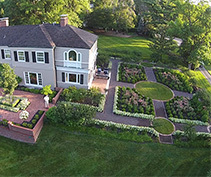 Our solution opened woodland views and carved seating areas into the hillside surrounded by lush plantings of Dogwood, Redbud, Serviceberry, Hydrangea, Itea, Clethra, Azalea, Boxwood, Rhododendron, Fern, Astilbe, Hosta & Coralbells. 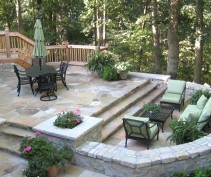 Stone cladding was used to create a storage area under the decking and the flagstone steps act as additional seating for the sunken outdoor living room. 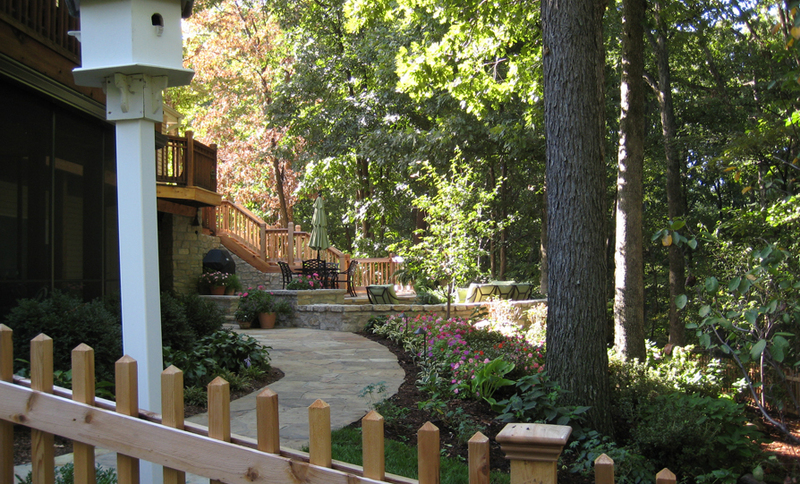 A picket fence meanders through the woods and helps keep deer away from the woodland plantings. 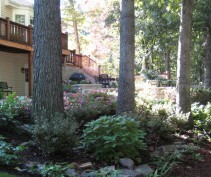 Mulched pathways carry you through the oak trees with beautiful views and diverse plant material. 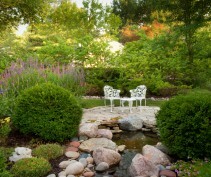 The result is a beautiful, natural setting to entertain or just unwind after a hard day at the office.